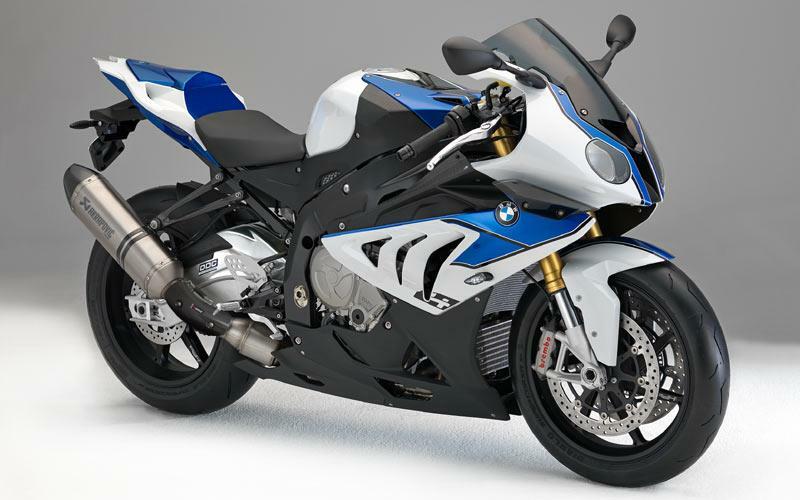 BMW has revealed the prices of the new HP4 and HP4 Carbon which will go on sale from December 1, 2012. The 193bhp standard 2013 HP4 is priced at £16,700 OTR while the Carbon version will cost £19,350 OTR. The Carbon edition features a range of carbon fibre parts and accessories in addition to the standard model. • Semi-active suspension - Dynamic Damping Control DDC. • IDM developed Race ABS. • HP Gear Shift Assist as standard. • Lightweight titanium exhaust system. • Launch Control with refined wheelie detection. • Lightweight forged aluminium wheels in black. • Radially-mounted Brembo monobloc brake callipers. • Rear wheel tyre in size 200/55 ZR 17. • Top yoke with engraved number and HP4 logo. • HP brake & clutch lever. • HP carbon belly pan. • HP rider footrest system. • HP carbon tank cover & numberplate hanger.